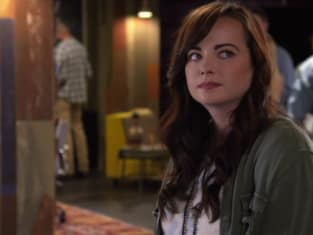 On Awkward Season 5 Episode 21, everything was great for them, but then Jenna had to go and blab about their whole relationship in the form of a new article for Idea Bin. It's obvious that Jenna wanted to let Luke know just how much he meant to her, but in the process she may have ruined his chances at Idea Bin. It's almost like she's trying to tell herself she's moved on from Matty, so she tried to make herself believe it more by writing the article. As much as I don't want the series to end with Jenna and Matty together, it seems like that's the conclusion we're building to. The writers are trying to take Luke out of the equation in order to leave a level playing field for Luke. I'll honestly be very shocked if the series concludes with Jenna and Luke together. They function so much better together than Jenna and Matty ever did. Could it be because Luke is much more mature? Matty hasn't been the most mature person in Palos Hills this season. Sully has been dragging him down and he needs some time alone to evaluate just how much he needs to finish college without a girl in his life. He's easily distracted and that's what ultimately lead to him missing the presentation. It was great that Lacey wasn't quick to forgive him. She's been far too lenient with him, so he knew that she was pissed and that's why he took action to help change his future for the better. Her description of Ally's crazy ways was great. It showed us at home that even she knew how crazy Ally is, but she stands by her because she's her best friend. Matty is in a rocky place with both Jenna and Lacey now, but will he be able to get back in good graces before the end? He made a good move by ditching Sully. She needs to go do some growing up, but I loved how not bothered she was about her relationship combusting in front of her. Say what you want about Sully, but she's one of the most easy going characters on TV. Tamara's debt continued to rack up and it lead her to make a shock decision. Is she really about to become a prostitute? Tamara has made a whole host of mistakes. She doesn't seem to know the value of money and that's why she's $12,000 in debt. That's the price she paid to hang with the cool kids and she's totally regretting it right now. Hopefully seeing the way Sadie treated her, she'll return to being BFFs with Jenna because Jenna is the only one that will always be there for her. Sadie: You and Patrick are gross. Tamara: You know what else is gross? This dress. Permalink: You know what else is gross? This dress. There's no doubt in my mind that Sadie will have a change of heart, but Tamara can do better than her. Sadie will continue to drag her down in order to make herself feel better and that's not a good friend. "Living In Sin" was a decent installment of this MTV comedy series. The funniest moments came from Lissa who was a little too overprotective of Jake, but she's probably going to regret speaking to Ophelia because she's probably going to write an article on her. 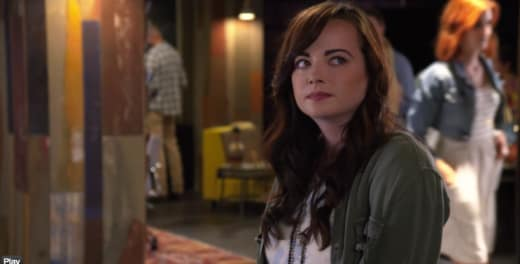 Remember you can watch Awkward online right here on TV Fanatic. 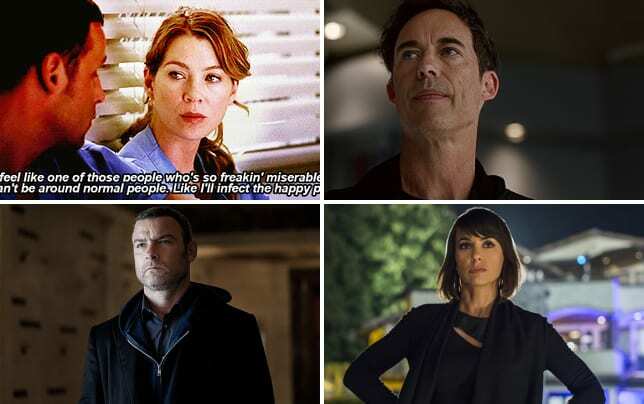 Get caught up on all the latest drama before the series signs off for good. What did you think of the episode? Was Jenna in the right? Hit the comments below. I just feel like a dumb townie. Permalink: I just feel like a dumb townie.